You may well be wondering what on earth the above picture has to do with lamb. 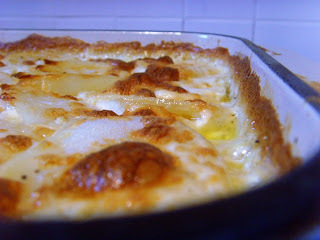 Or gratin dauphinoise. Virtually nothing. But I felt the need to share it nonetheless. What is it? 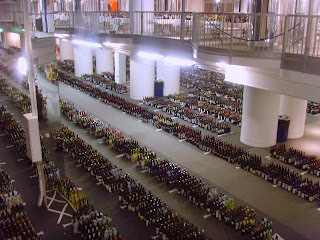 Well, it is the ground floor of Exhibition Hall 1 at the Barbican in London. And what it lining that floor in neat little rows? Bottles of wine. Yes, really. Bottles of wine. On Wednesday I participated in the first round of judging for the International Wine Challenge. It was the first time for me and it was slightly daunting, to say the least. I was assigned to a panel of four as the most junior member and we tasted our way through a whopping 138 wines of all varying styles (and qualities), trying to reach consensus on whether they merited a medal. I was absolutely staggered by the organisation that goes into this competition. Each wine is tasted in the first week by a panel. Any that are rejected are re-tasted by one of a team of 'super-jurors' to check that nothing medal-worthy has slipped through the net. 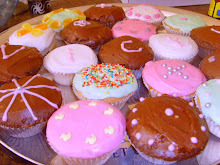 All the goodies are re-tasted in week two in order to assign scores and medals. Quite something. It has been a busy week with wine tastings in Norwich, Chelmsford and London so I was really looking forward to the weekend and the chance to catch up in my kitchen. Today, I had seven for Sunday lunch - the sun came out at the perfect time and we enjoyed Prosecco sitting in the garden. Very civilised. I had bought a very large leg of lamb from my favourite local butcher but wanted to do something a little different from the usual roast. I decided that I would like to slow-roast the joint at a low heat until the meat was falling off the bone. To prevent it drying out I would throw some wine into the pan and cover with foil. Of course, had I one of those huge cast iron oval casserole dishes, I would have used that. But I don't. And it seems silly to buy one just for one dish. So I used a high-sided roasting tin. Despite cooking the joint for over five hours, it wasn't falling off the bone as I had anticipated. It was delicious and very easy to carve but just not quite how I had imagined. I was a bit concerned that it might just seem very overcooked (I usually like my lamb pink), but this wasn't the case due to the wine. 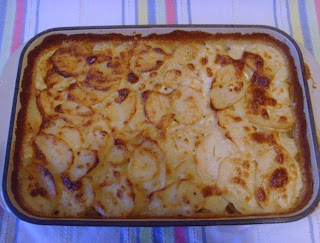 To go with the lamb, I cooked one of my favourite potato dishes: gratin dauphinoise. To me it always seems like such a decadent, luxurious potato treat and everyone always tucks in greedily. 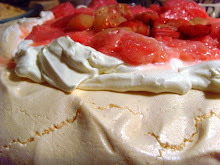 Everyone has their own way of making this favourite, but I am very particular about how it is done. If anyone hasn't tried making this before, then do try this version; it is totally foolproof and very easy. The most important step is to start cooking the potatoes in the creamy mixture in a large non-stick frying pan before transferring to the baking dish. Someone explained the science to me once - something about releasing the potato starch as soon as possible to kick-start the cooking process. There is nothing worse than underdone potato gratin. Unless you ask my friend Joni who firmly believes that nothing in life is worse than a bad olive. 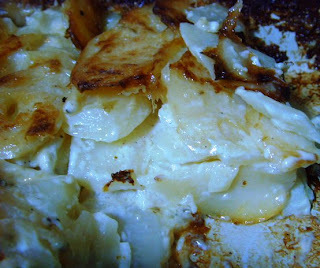 I don't use cheese in my gratin dauphinoise - it isn't necessary. It tastes almost cheesy without the cheese. You probably won't believe me, but it is true! 1. Pre-heat the oven to 180C. Remove lamb from fridge at least half an hour before putting in the oven. 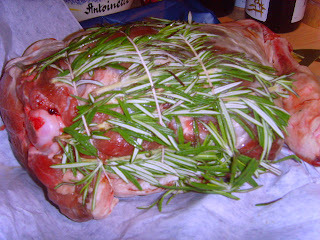 With a sharp knife, cut slits in skin of lamb and push slices of garlic and sprigs of rosemary in alternate slits. 2. Roughly chop the onion, carrot and celeriac (or other veg). Place in centre of deep-sided roasting tin (or large casserole). Slice garlic bulbs in half around the centre and add to the pan. 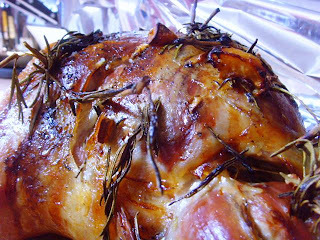 Place the lamb on top and roast at the high temperature for half an hour uncovered. 3. After half and hour, remove the lamb and turn temperature down to 150C. Pour bottle of wine into the pan. Yes, really. The whole bottle. Cover in foil (or place lid on casserole). Return to oven for at least four hours, basting occasionally. 4. After four hours, remove the foil and turn heat back up to 180C for 20 minutes if you feel you would like the skin a little browner. Remove from oven and leave to rest before carving. 5. Pour the fat from the pan and use the juices and veg to make a tasty gravy. Push through a sieve and serve with potatoes and vegetables. 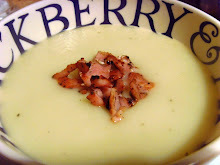 Notes - I served this with leeks, peas and parsnip puree as well as the dauphinoise potatoes. 1. Pre-heat oven to 180C. Peel potatoes and slice very finely, preferably using a mandolin or food processor. 2. 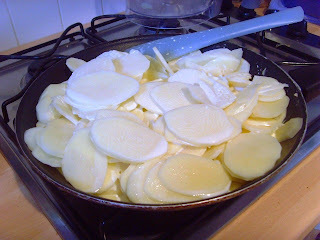 Place potatoes in a large non-stick frying pan along with the cream, milk and crushed garlic. Season well with salt, pepper and a little nutmeg. 3. Heat gently for around 15 minutes until the cream starts to thicken. Take care not to burn and stir so that all the potatoes are evenly coated. 4. 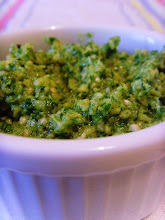 Pour the entire mixture into a buttered, ovenproof dish. No need to arrange the slices neatly - it will look wonderful without any artistic talent. 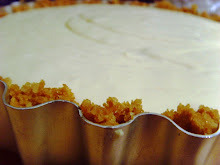 Dot with butter and then bake in the oven for around an hour. 5. Remove and serve immediately or allow to cool and re-heat the following day. You can even cut out neat shapes using a pastry cutter and re-heat on a baking sheet. The lamb looks "to die for" and if yo u have leftovers...make some lamb gyro sammies in pita. If I wasn't so full of tamales and salsa I would be longing for that meal right now! I normally take my packed lunch into the barbican. Trust me to be away when it's full of wine! If you can pull yourself away from your charming looking butcher there is an excellent one close to barbican tune in the meat market. It's called Crosby's and it does beautiful meat at near wholesale prices. Oh no, I've made myself homesick! That looks like a wonderful meal. Creamy dauphinoise and tender lamb, you just can't go wrong with that. Antonia what a gorgeous looking piece of lamb and with gratin dauphinoise a meal made in heaven! OK you have officially sent me to foodie heaven. I adore slow-roasted lamb and dauphinoise and this looks divine. Set another place at the table, I'm coming round! Peter - ooh, that sounds like a great idea. Plenty of leftovers so I may well do just that! Joy - hope you are having a good break. Tasting at the Barbican again tomorrow, so maybe I'll go and find Crosby's. Thank you for the tip! Sylvie - it was a good combination. I just wish I had some of the potatoes left, but the dish was scraped clean! Rosie - it was really flavoursome lamb and I'm looking forward to the leftovers tonight! Julia - had I know it was a favourite, I would of course have squeezed you in! I'll know for next time!! Mmm wow... loads of wine. Congratulations on judging your first IWC! It sounds at once both very interesting and also a lot of hard work. The lamb certainly looks good, pity it wasn't as falling-off-the-bone as you wanted. 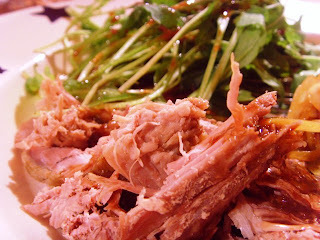 Last time we did slow-roasted lamb, we used shoulder which is a bit fattier and turned out almost confit-like after slow roasting. The dauphinoise looks really brilliant; I'm sure that turned out just as planned! Antonia what a wonderful delicious meal! Wow, that lamb looks wonderful. And I'm dying to eat those crispy bits on the dauphinoise! 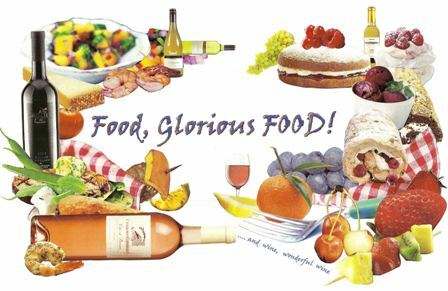 Hope you picked a good wine to go with the meal! Fred - thank you. Just finished the second day and found it really interesting. I spotted your slow-cooked shoulder - that was exactly what I'd hoped for. I'll try going for the shoulder next time, I think. Maria - thank you, it really was. The lamb was (is) delicious cold too. Wendy - the crispy bits really are the best! aforkfulofspag - rest assured, I did! We had a really good reserva Rioja, which was delicious. I have developed the habit of only cooking a lamb joint in red wine and always follow a Delia recipe. 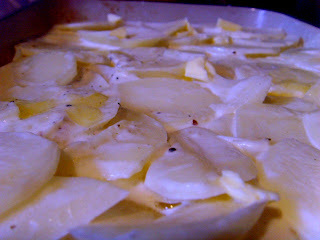 Sometimes the potatoes just don't want to cook when you make dauphinoise - I call them no-cook potatoes! Just my sort of dinner. How do you keep your palate fresh while tasting 138 wines? What fun! Sounds lovely and I've yet to make a dauphinoise and aim to try your recipe for it at some point!